New Truckee Airport Facebook page lacks information on the airport’s $4.5 million tax subsidy, increasing jet noise or plans to help buy a hobby plane using public money. 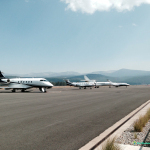 The Truckee Tahoe Airport, one of the most dangerous general aviation airports in the United States, is located near the downtown area of the mountain resort town of Truckee, CA. 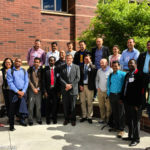 Local residents and visitors have experienced in recent years an explosive growth of jet traffic and noise at their homes, on hiking trails and at the nationally treasured scenic Donner Lake and Lake Tahoe. Jet Suite jet parked at Truckee Airport. Tax-subsidized Truckee Tahoe Airport, which has become the cause of increasing jet traffic, noise and pollution for Truckee residents and visitors to the area, has a new Truckee Tahoe Airport Facebook page, also paid for by local taxpayers. 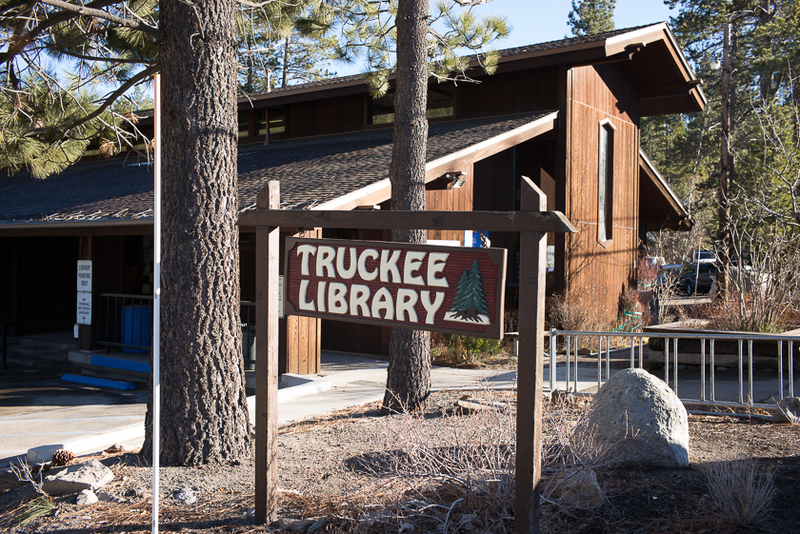 Important pieces of information, however, are missing from the Truckee Tahoe Airport Facebook page–information that local residents deserve to know. 4. Airport’s absence of any viable plan to provide incentives to lower jet traffic and noise impact on the environment, quality of life and home values. 5. Instructions on submitting jet/plane noise reports. 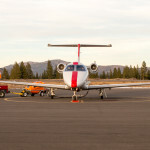 The Truckee Tahoe Airport District gets each year from local taxpayers about $4.5 million in the form of property tax subsidy, which in addition to paying for the new Truckee Airport Facebook page also pays for its website, other public relations campaigns, salaries of Airport officials and luxurious Airport facilities. Meanwhile, the local Public Library, some local public schools and many students have to use truly substandard buildings. There is not enough public money to meet critical social needs of many local residents while the very rich enjoy a hefty tax subsidy support paid mostly by middle class local homeowners. 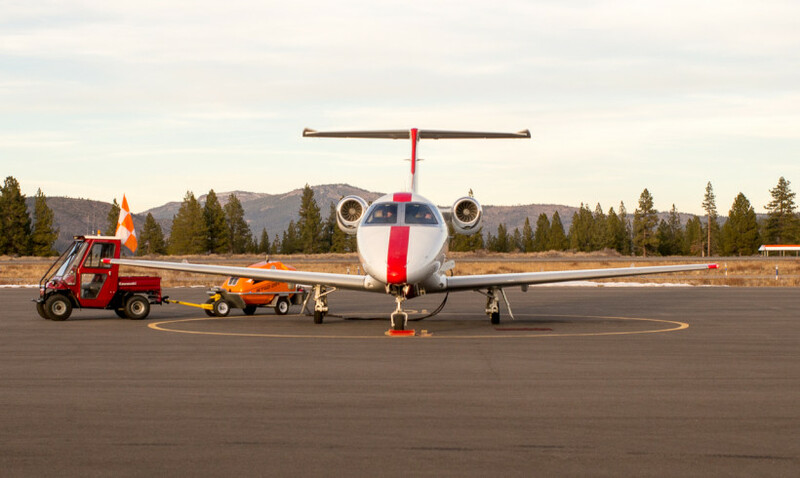 Each year, the Truckee Airport gets and spends public money ($4,585,000 in property tax revenue in FY2014-2015). Thus, the very few individuals who can actually afford to use the airport for expensive private plane travel beyond the financial reach of most who live here are being heavily subsidized by local middle class home owners/taxpayers. It is important to note that District’s taxpayers not only bear this $4.5 million plus cost but also the cost of increasing jet noise, air pollution and diminished quality of life for all local residents and visitors seeking a peaceful and clean environment in which to live, work and rest. I am not talking about emergency flights which represent only a tiny portion of air traffic in Truckee. The vast majority of air traffic in Truckee benefits the privileged few who also benefit most from the corporate welfare property tax subsidy. The Airport District has acquired some open space near the airport to avoid even more plane noise complaints, but these purchases are done with taxpayers’ money–a point never made quite clear by officials. 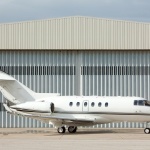 Many may think that the money comes from the users of the airport. It does not. This is not a private enterprise using private money for the benefit of the public. These are affluent airport users being subsidized with your tax money. 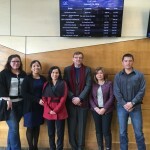 In effect, the vast majority of local residents are paying for the gradual destruction of the quality of life they came here to seek because a few highly privileged individuals insist on flying private jets and dumping their noise and trash in the form of air pollution and other environmental disturbance. They jet over Truckee-Tahoe neighborhoods, hiking trails and lakes instead of doing the responsible thing and flying to Reno or using other more eco-friendly travel. Resident taxpayers and the environment are paying for a half an hour to 45 minutes of extra convenience for these VIPs who no doubt consider themselves big friends of the environment. Another point worth making is that significant portions of the local taxpayer subsidy are being diverted to support favorite causes of some of the Directors of the Truckee Tahoe Airport District that have nothing to do with aviation or plane noise reduction. At the same time, the Airport Board President calls for the scrapping or modification of the 2004 Truckee Airport Resolution on Limiting Jet Noise, calling it “outdated.” Another Airport Board Director says that affluent private plane owners and passengers will not bother flying to Reno and driving to their weekend homes near Truckee. An environmental organization run by another Airport Board Director gets a donation each time a jet owner buys jet fuel at the airport. 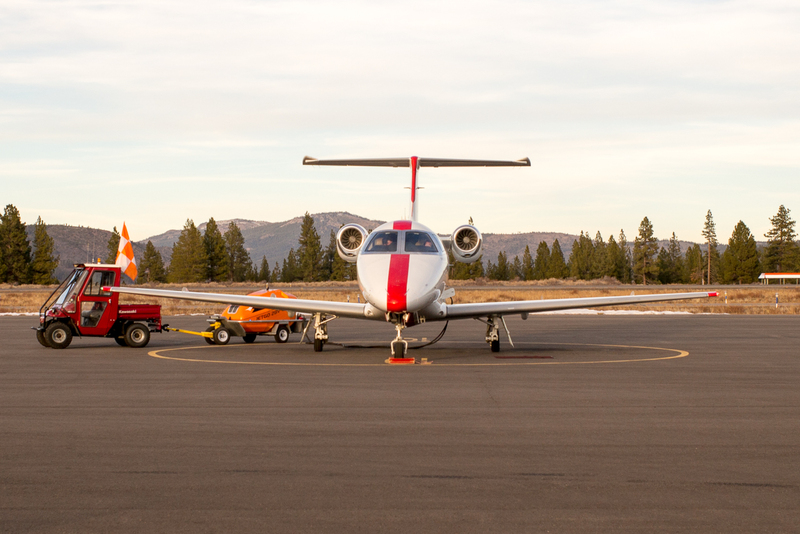 Sales of jet fuel at the Truckee Airport keep rising each year, as does jet traffic, as does plane noise over Truckee and the larger area. The 2004 Resolution on Limiting Jet Noise calls for action to discourage jet traffic, but instead the Airport’s Board of Directors is planning to build more jet hangars, selling it as a benefit to the community. NGOs, even environmental ones, are being co-opted with giveaways, which are in fact paid for by local taxpayers. These publicly funded donations or facilities provided to local NGOs are designed to silence their opposition to environmentally destructive impact of the airport and to justify building new infrastructure to handle more air traffic. Some of Airport District Board directors and officials are strong advocates for local business development and area growth. Some serve in their private capacity with pro-development groups which seek and get public money from the Airport District for their activities. These interest groups don’t seem to care that Truckee can’t handle any more traffic congestion, noise and building activity without destroying its appeal as a tourist destination and a mountain resort community. They are focused on short-term profits such eco-unfriendly development brings to some local businesses. While there is no effective action being taken to discourage further growth of jet traffic and jet noise over Truckee, Airport officials are reportedly considering subsidizing with local taxpayers’ money a loan of about half a million dollars for a hobby plane that presumably even some of them can use under the pretext that it may have a slightly quieter engine. It’s very likely they will fly a new fancy hobby plane more often than the old one, thus causing greater overall noise and disturbance. 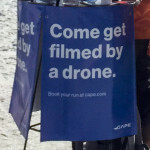 But the very idea of subsidizing hobby planes with taxpayers’ money is in itself disturbing. The area’s two major newspapers, Sierra Sun and Moonshine Ink have been paying attention to the activities of the local Hospital Board, but so far they have not focused on how public money is being spent by the Truckee Tahoe Airport Board. Instead of a hobby plane and outside business and charity causes favored by Airport officials, that money would certainly be better spent on more open space purchases, encouraging owners, pilots and passengers of private jets to consider flying to Reno instead, and taking other educational and advertising measures to limit jet traffic and noise. Finally, the new Truckee Tahoe Airport District Facebook page has no provision for officially reporting plane noise incidents. This has to be done in a much more cumbersome way by using the Truckee Tahoe Airport website plane noise reporting page. Plane noise reporting is one of the ways of putting pressure on the Truckee Tahoe Airport Board of Directors to stop using public money on expensive public relations campaigns or their favorite private causes but to do something instead about the growing plane/jet noise and pollution problem in the Truckee Tahoe region. 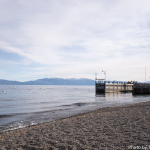 The local community can also become engaged by contacting Truckee Tahoe Airport District Directors, attending monthly Board meetings and running for Airport Board seats in local elections. For more information on how you can help to influence change of behavior on the part of some of the current Truckee Tahoe Airport District Directors and other officials go to our Eco Truckee Tahoe website, Eco Truckee Tahoe website and follow us on our Eco Truckee Tahoe Facebook Page. 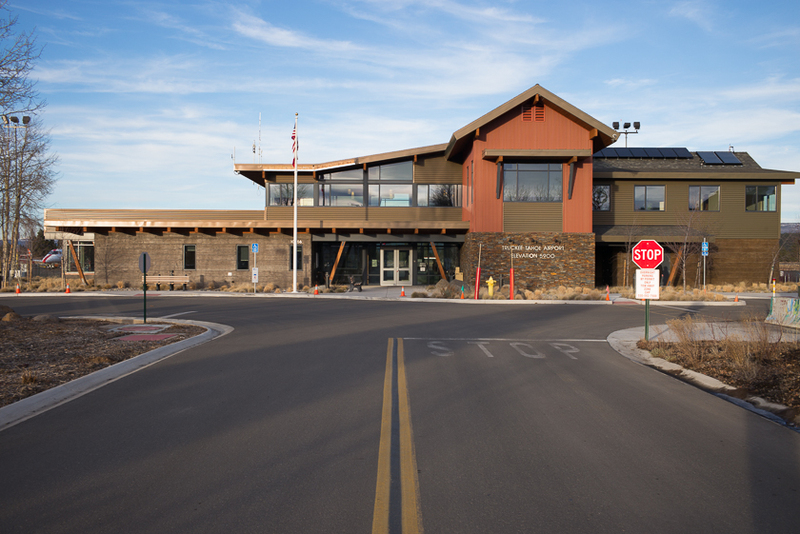 Modern and luxurious Truckee Airport terminal building constructed with a local tax subsidy. The vast majority of local residents can’t afford to use it for private plane travel but they are paying each year millions of dollars to subsidize its operations for affluent users. Public Library building in Truckee. 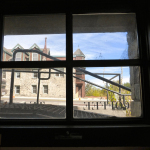 Local residents, especially elementary, middle school and high school students, are denied adequate library facilities for study and community activities because of inadequate public funding. 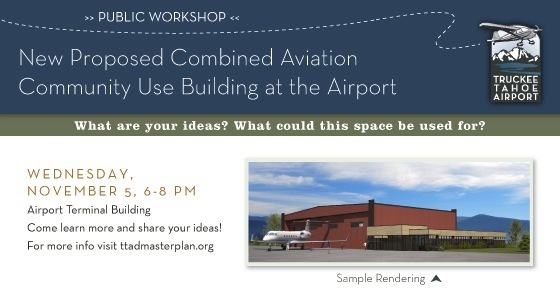 Drawing of a jet hangar Truckee Airport officials want to build using public money to facilitate jet traffic to Truckee.